First, I got rid of the overgrown holly bush that scratched me any time I went near the hose. [Design rule #1 should be, Don’t plant holly or agave or cactus near where you attach your garden hose.] 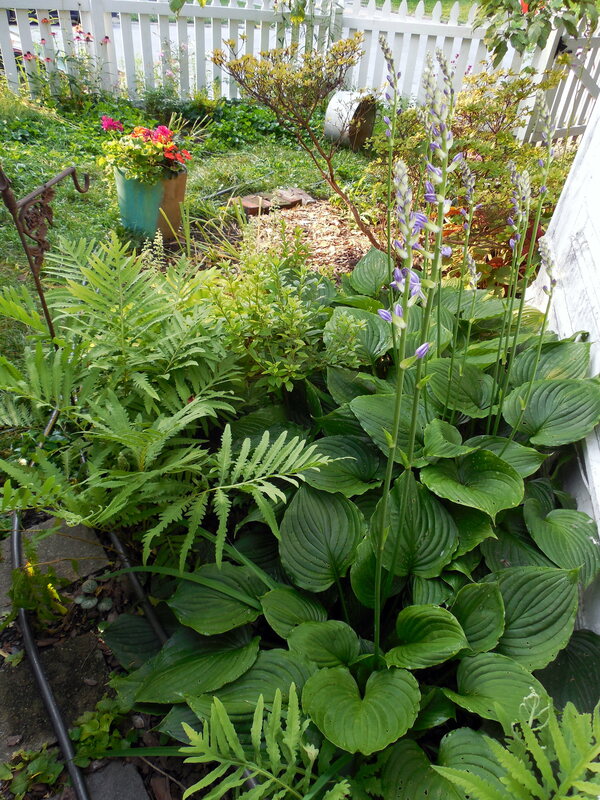 Then I planted part-shade-loving “Limelight” heuchera, neighbor Nick Petit’s hostas, azaleas, and sensitive ferns (Onoclea sensibilis)that wouldn’t get so big they impede access to the spigot. 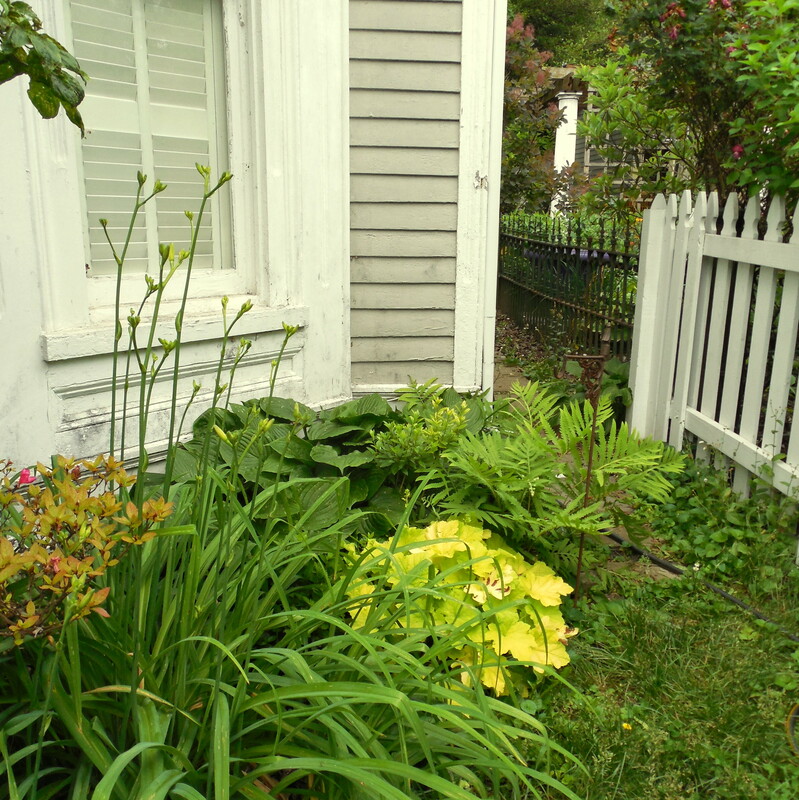 This entry was posted in design rules, other plants worth the space, Structure and tagged "Limelight" heuchera, azalea, hosta, Onoclea sensibilis, sensitive fern. Bookmark the permalink.